This post has been screaming at me since the day Issue 6 passed, and even louder since the day I started looking real hard at running for one of the county council seats Issue 6 created. Just got a call from the Board of Elections. ?The signature collection requirement has been decided for all the new county races, and it’s 50 signatures for both the county council seats and the executive race for the major party primaries on September 7. ?Here’s a PDF with the lowdown on all the other info, including requirements for independent candidates. Anthony gets a mailer, and immediately declares it the worst political campaign piece of the coming cycle. We all know our existing system, dominated by two big parties, can leave a lot of people stuck in the middle and underrepresented. Ohio’s upcoming gubernatorial race is no exception. I feel very sorry for all of the gay couples looking to send their adopted children to charter schools that teach intelligent design. How hard it must be for them to choose between one of the two major party gubernatorial candidates. Or the librarians and teachers and parents of special-needs children who think government spending is out of control. I try to ignore the “policy” musings of Republican bloggers because they are universally idiotic, ideologically foul, and intellectually bankrupt. ?But in Former John Kasich Staffer Jon Keeling’s case today, I’ll make an exception, because Mr. Every Penny I’ve Ever Collected In My Lifetime Is Taxpayer Money gives me an opportunity to discuss how I plan to govern as a county councillor in Cuyahoga County District 7. I just got a call from Cuyahoga County Judge Peter J. Corrigan, and he says that the Peter J. Corrigan who has pulled petitions to run as a Republican against Dennis Kucinich is some other Peter J. Corrigan, not him. ?Corrigan also said he’s running for re-election to his bench, he’s a Democrat, and would never even contemplate running against Dennis. Here’s a clue. Your latest attempts to build on the failed narrative from the last campaign that Obama is soft on terrorism is fraught with danger. I know it is tempting and nearly a tourette’s like tic with you guys, but you must know that you are entering a world of pain with this one. 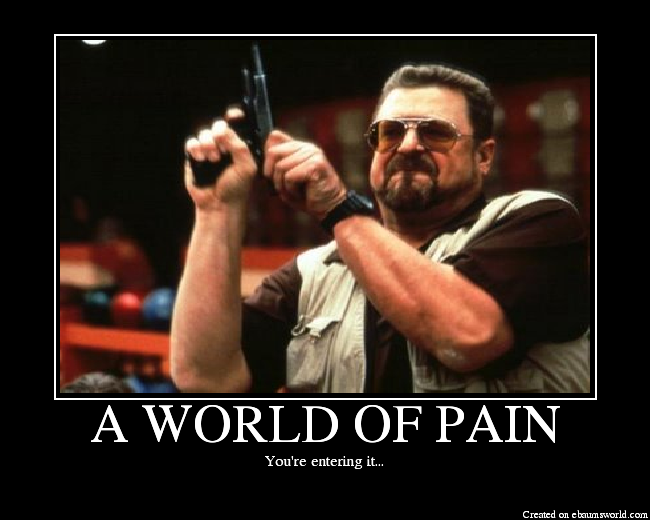 A world of pain. Is the Green Party’s gubernatorial candidate a Strickland campaign plant? Seriously, that has to be it.? Think about it.? He’s from Strickland’s old Congressional district, and he’s being doing nothing but issuing blog posts that promises to do things that Strickland has already done. I cannot imagine a more effective vehicle for the Strickland campaign to educate progressives and all Strickland has done in his first term than this guy. Had a meeting yesterday (wonder what THAT could be about?!?!) in Slavic Village, at the Americana Cafe. ?It’s in the old Arabaica space, right across the street from where I was baptized at St. Stanislaus Church. ?In the heart of Slavic Village. ?Great little place, nice and cozy, the owner Mary Jane is the one behind the counter, and that makes it pretty awesome. Ohio’s Green Party Gubernatorial Candidate Dennis Spisak claims to have a blog. In reality it’s just a diary over at Progress Ohio. This PO diary certainly could be considered a blog if the posts were actually written by Spisak himself. But the “posts” are nothing more than a series of poorly-edited press releases from Spisak’s campaign. In Today’s Youngstown Vindicator interview story, when asked why he should be re-elected, Ted Strickland say basically if you elect his opponent(Kasich) you will have to deal with 40% less revenue coming into the state coffers.